The Mountain Buggy Cocoon is the perfect way keep your newborn cosy when on the go. With its soft shell, protective hood and convenient carry handles, the Cocoon allows you to effortlessly move baby without disturbing their much-needed sleep. If you're looking for a carrycot that helps you keep your newborn safe and snug while out and about, the Mountain Buggy Cocoon is for you. Why should I choose the Mountain Buggy Cocoon? The Mountain Buggy Cocoon offers a snug and cosy way to transport your newborn. 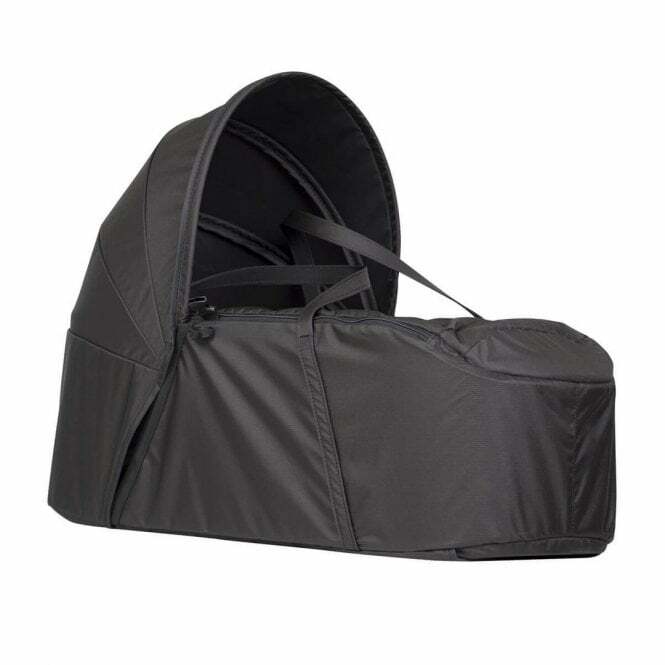 Its soft shell, zip-up lid and and flip-out sun hood creates a cocoon-like environment for baby, which can be attached to most Mountain Buggy pushchairs for convenient travel. The Cocoon also acts as a lightweight carrycot, with two carry handles and a firm but comfortable base. Whether you're out for a walk or simply nipping across the road, the Mountain Buggy Cocoon ensures ultimate comfort for your child. Newborn babies need their sleep, and there's nothing worse than having to wake them when you reach your destination. Thankfully, the Mountain Buggy Cocoon means you can make an easy transition from buggy to home, without the need to disturb them. The Cocoon can also rest safely on the Mountain Buggy Carrycot Stand; offering yet another versatile way to give your child the comfort they need. What are the Mountain Buggy Cocoon Specifications? Do I get a warranty with the Mountain Buggy Cocoon? Yes. The Mountain Buggy Cocoon comes with a 1-year warranty (UK mainland only). Your Review - Great product. But I wouldn’t recommend buying from this company as I had an issue with another product I purchased from them, at the same time, and found their customer service was none existent.